Google Search Console helps monitor your website's presence in Google search results. Learn to make a great SEO-friendly website for your visitors. Understand how Google views your site and optimize it’s performance in search results. 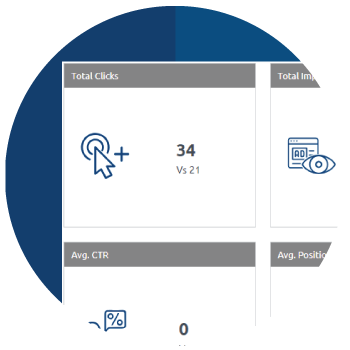 Google Search Console shows you the total number of clicks, total impressions, avg. ctr as well as your website's average position in Google search results. Compare this with previous month's data and find out where you're lagging behind. 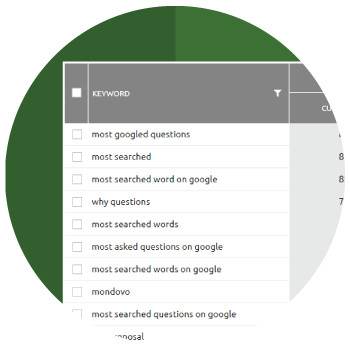 View the best performing keywords, the best pages, and the country from Google's perspective. 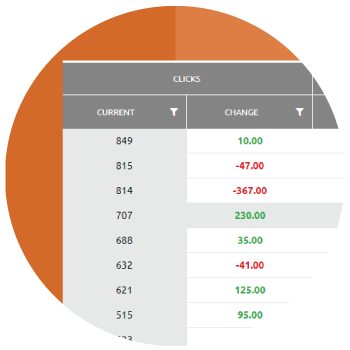 Get to know the clicks obtained, CTR, impressions and average position. Improve & optimize your web pages based on the keywords displayed. 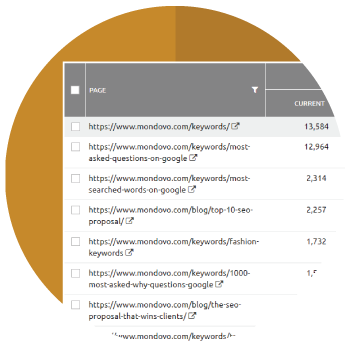 Tweak & Tag your keywords to rank tracker and satisfy your visitor's interests. Google search console helps you find out the pages that have the highest and lowest CTR from Google search results. Use this data to alter your pages accordingly. 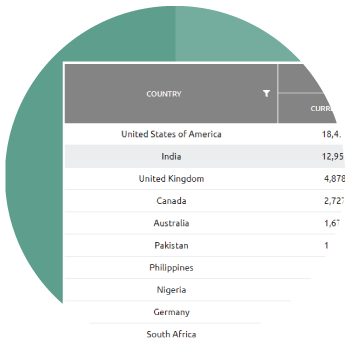 Get to view a comprehensive list of countries from where your visitors belong. Tailor your marketing strategy to suit a specific set of visitors and benefit from increased user sessions. 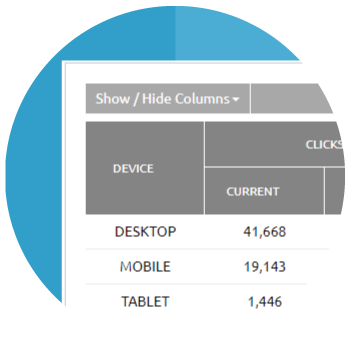 Group results by the device making the search - mobile, tablet or desktop. Use this data to make suitable changes to your website to deliver visually engaging search results.